EASA has developed an international accreditation program for service centers based on best practices defined in the ANSI/EASA AR100 standard. Motors repaired under this method have been proven to maintain and extend the life of AC motors. Laron has successfully accomplished the program and has been awarded this EASA accreditation. 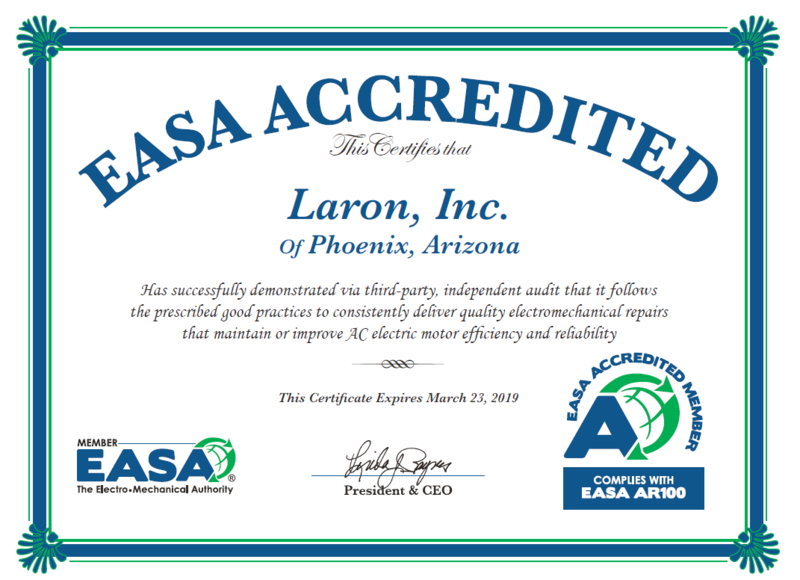 Laron is also a SKF Certified Repair center which makes us the only motor repair center in Arizona accredited by both EASA and SKF.